The loan that many people are interested in getting is CBN loan. We have been receiving lot of calls and email from people making inquiries about it. The money is there to be given but you need to know how to access it. The first pre-requisite is that you must be trained by Entrepreneurship Development Institution (EDI) that is accredited by CBN. 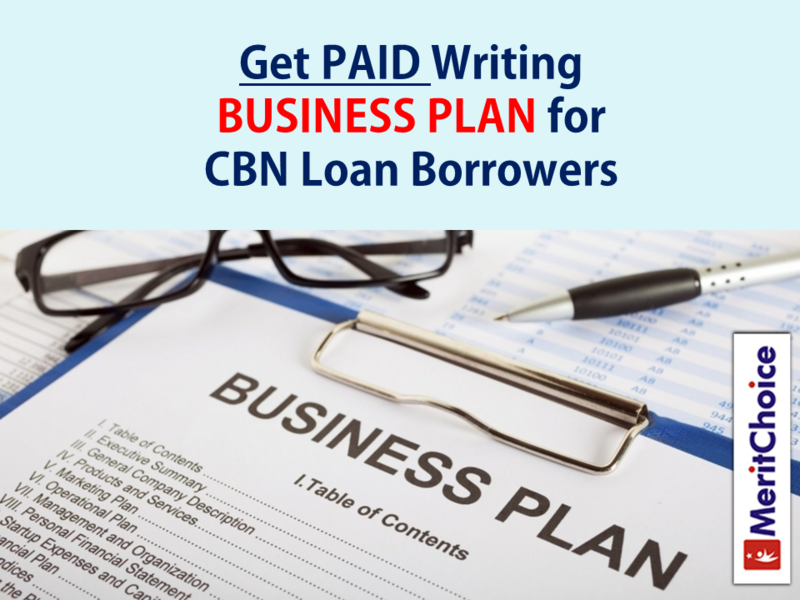 After your training, you need to have a business plan that will be approved by the office working with CBN to ensure that the right people are given the loan. Therefore, the next important document you need after your training is the business plan. Business plan writing is highly sought after professional service. The business plan you submit will determine whether your loan will be approved or rejected. Therefore, it has to be done professionally. That is why it is important that you attend the 2 days training with Prof. Joseph Adeyemo as he shows you all what it takes to write irresistible business plan which will make bankers to rush you with funds. This is not one of those theoretical training that has no value. The second day you will be for writing your first professional business plan that the professor will vet by himself. But that is not just all. He is ready to work with the trained students to start getting paid services for their business plan writing skill. Prof. Adeyemo is the Chairman of Multiconsulting International Limited, a CBN accredited EDI. The institution has been training students who after their courses need business plans that can be submitted to CBN for loan. After your training this coming Thursday, 28th March, 2019 and Friday, 29th March, 2019, you will be able to join Prof. Adeyemo working as a freelance consultant to write business plan for the students of the institution. It is very certain that you could recover back your training money more than five times with just a contract of a business plan. Don’t forget that Prof. Adeyemo charges N2.5 million naira to write business plan and you too can develop your skill to that level. 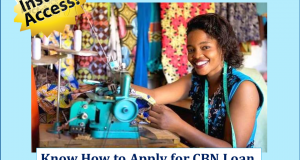 And of course, if you also decide to opt-in for the CBN loan, with your comprehensive knowledge, you would be able to craft out professional business plan that will ensure you get the loan. 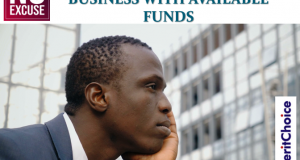 If you need a quick medium to create a multi-million naira business, here you have it. Someone is already doing what you want to do and getting all the results. Figures don’t tell lies. Sam Nebo has been making millions every month since the beginning of this year and Facebook even verifies that. If you indeed desire to change your financial status as we move from first quarter of the year to the second quarter that is starting in April and you want to start recording millions financially, then, you need to learn from Sam Nebo because he has done it over and over again. Do you know why you would be able to get the same result if you follow Sam Nebo’s instructions? 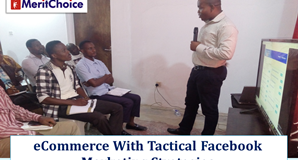 At the training, he will give you the idea of products you can be selling online. He will tell you how to promote it and show you how to take your Facebook advert to start getting order. You will be doing exactly the same thing he does and that is a sure banker that you will get the same result. What he is doing is not rocket science. It is just that, if you don’t know it, you don’t know it. But this Saturday, you will know it and join the league of multi million naira makers. The fee is just N30,000.00 (Thirty thousand naira only). The training will come up on Saturday, 30th March, 2019. We will have the free session with Sam Nebo where he will explain to you why you need start selling on Facebook and the way to start. Thereafter, we will go to the real practical session where you will be able to setup your own system to start selling. You can contact us for bank account to do your payment transfer. Thanks.